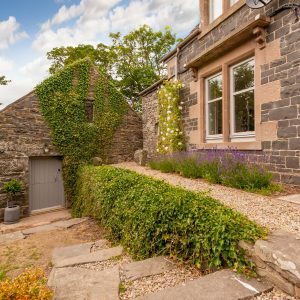 Dod Mill is a collection of unique, self-catering cottages centered around a former grain mill near Lauder in the Scottish Borders. 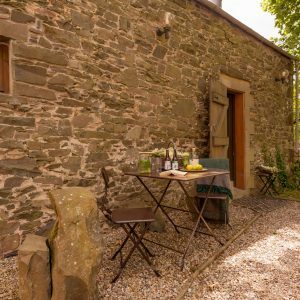 The old mill sleeps 2 and the bothy sleeps 2-4. 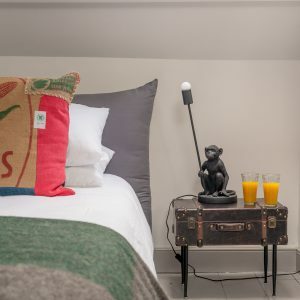 The properties have modern, interior-designed styling which is carefully balanced with both the industrial heritage of the site and its quirky, creative history. 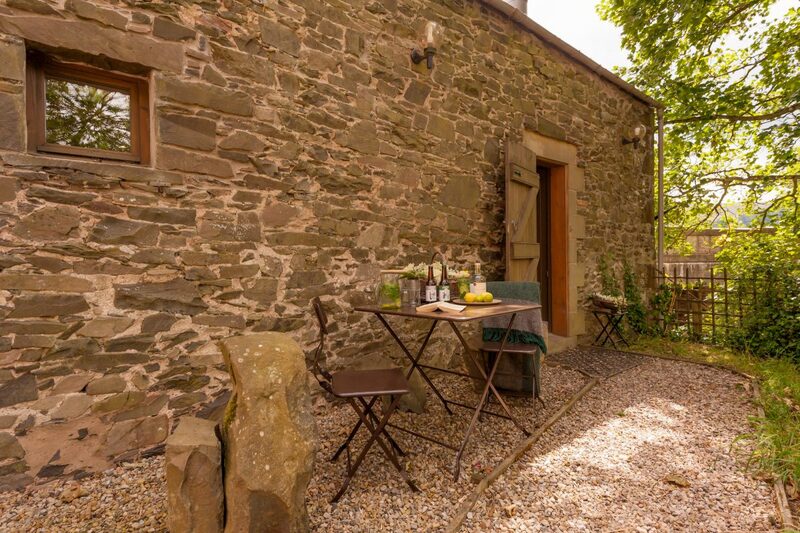 Dod Mill has 2 cottages available for holiday-let: The Old Mill and The Bothy. Both are conversions of former industrial and agricultural buildings. Owners Ruth and Jamie Knibbs have designed Dod Mill to offer holiday properties which give guests the chance to retreat from modern and increasingly-hectic lives. The Old Mill is the original stone-built water mill and dates back to the 1700s. The mill pond, mill lade, miller’s house, kiln house and barn-pigsty (today, The Bothy) are all within the grounds of Dod Mill. A wander further into the site also reveals a number of intriguing wooden structures. These include a lodge, a stilt house, a cabin, a half-vintage-caravan-half-log-cabin (the fishing hut) and a straw bale house. Dod Mill sits either side of the Boondreigh Water and its woodland. It’s a haven for wildlife. For example, you can spot heron, wild ducks, owls, countless small bird species, hare, deer, rabbits, salmon, trout, frogs and even otters. Dod Mill is also home to two small herds of sheep. There are some very friendly Shetland-Suffolk crosses in the Quarry Field. On the Other Side of the Boondreigh, there are also some rather timid and flighty, but beautiful, Hebridean sheep. Guests are welcome to assist in shepherding duties! The Old Mill, known historically as Dod Mill, is found in local records dating to the 1700s (or earlier). Here grain (wheat, barley, oats) would have been milled in huge, water-powered millstones to make flour. Dod Mill existed to serve the local estate, Spottiswoode, and surrounding farms. The weir, mill lade and mill pond are also marked on many old maps. A kiln house, reinstated in recent years, was used to dry the grain before milling – much like modern-day grain dryers. In the 1700s and 1800s the local area, and the south of Scotland more generally, was peppered with mills. However, very few have survived and even fewer of those have a water wheel still in place. National Trust property Preston Mill, in East Lothian, is a great example of how a mill such as Dod Mill would have operated in its prime. Dod Mill has attracted and inspired artists and creatives over the past 50 years. Photographers, a stained-glass artist and two painters have lived here. Many others have also come and put their stamp on the place. The quirky Stilt House, Fishing Hut and Straw Bale House were all built by artists.Phil Crennell, woodworker and artist, was the creator of The Stilt House. 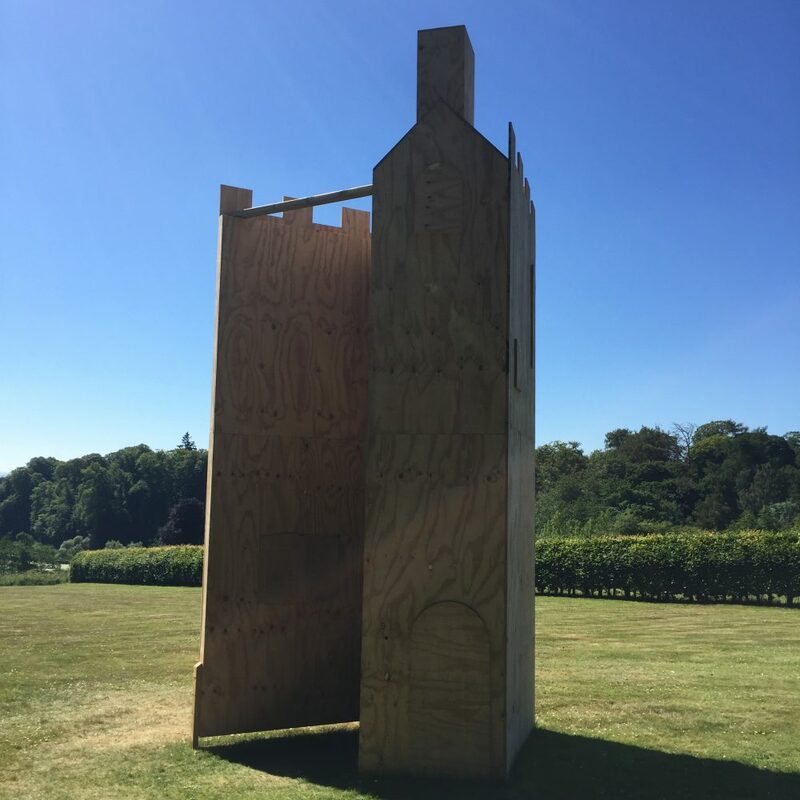 It was commissioned by Holly Dow, former Dod Mill owner who developed a meditation and retreat centre here in the mid 1990s. A different artist built the Straw Bale House and the Fishing Hut, both on the Other Side of the Boondreigh. He lived in the Straw Bale House permanently for a number of years. The Fishing Hut was his guest annex. These structures are quirky, original and beautiful. They would have made for very interesting off-grid living. Most recently, wonderful local artist Amanda Phillips lived at Dod Mill with her family. She painted from the Stilt House and the kitchen in Dod Mill House (the main house, where Ruth and Jamie now live). We think that the rocks by the Old Mill had a niche role in geology during the Scottish Enlightenment. This was the period of great intellectual advancement in the 1700s and early 1800s. The Enlightenment was the time of Adam Smith (economics), Robert Burns (poetry), David Hume (philosophy), Sir Walter Scott (literature) and many others, including James Hutton. He is known as the father of modern geology. But it is at a short distance from Thilestone, near Doddmill, and by the side of a bridge, under which the stream that turns the mill flows, that the curious observer must place himself, in order to view with advantage a deposit of trapp so considerable, that it would be difficult to find any where else so many vast masses, and so many varieties thus fully laid open…I certainly did not expect to find, near the road, so fine an object for study. It would be difficult to find a place more favourable for this study, since here it may be said, Nature displays herself uncovered, and affords the observer an opportunity of tracing the manner in which she rudely sketches or perfects porphyry, with a basis of trapp. Dod Mill clearly made an impression on Faujas de St-Fond. Therefore, it’s highly likely that he discussed the spot with other geologist-of-the-time James Hutton when they met in the following days. It is therefore also highly likely that James Hutton would have stopped at Dod Mill on his way back to his Berwickshire farm. In 1788, just 4 years later, James Hutton identified the rock formation at Siccar Point (near Cockburnspath) which would later become known as “Hutton’s Unconformity”. Faujas was the first to recognize the volcanic nature of the basaltic columns of Fingal’s Cave, on Staffa. Hutton and Faujas were pioneers of modern geology in the same way that Adam Smith was the pioneer of modern economics. It is possible to walk from Dod Mill all the way to Siccar Point via the Southern Upland Way. It’s an excellent route for those interested in geology. We, Ruth and Jamie Knibbs, moved to Dod Mill (the wider site around Old Mill) in 2017. We “escaped the city” with our three small children and set-up home in the original miller’s house at Dod Mill. With sheep, woods, rivers, a pond and fields, Dod Mill is a 5 acre smallholding and a wonderful place to live. We love the wildlife, the river sounds and grounds where colours are constantly changing with the seasons. Our vision is to turn Dod Mill into a place of escape and retreat for our guests. Our renovation works have focused on creating little havens of peace and design. The Old Mill is a place for couples to slow down from hectic lives. 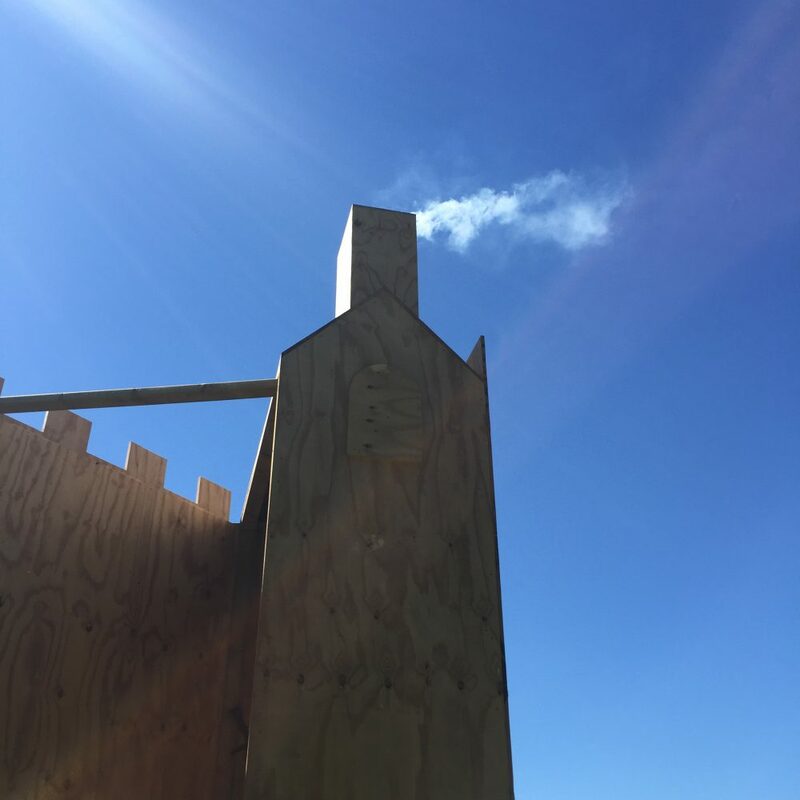 We plan to continue to develop Dod Mill, with glamping hopefully coming soon to The Stilt House and the Fishing Hut. Our plans include development of the B-listed Kiln House as a central, communal space for guests staying in groups. 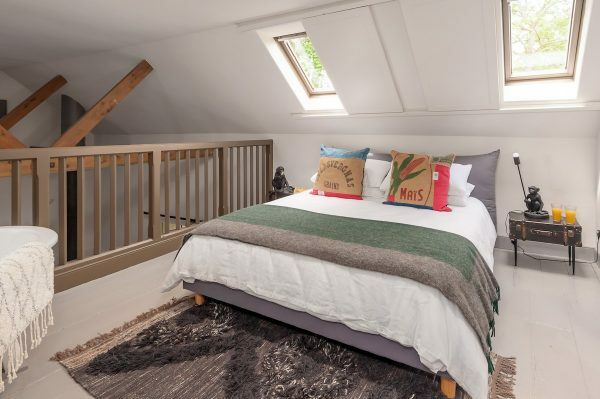 We plan to add a mezzanine bedroom to The Bothy, to make the space even more comfortable for 4 guests. 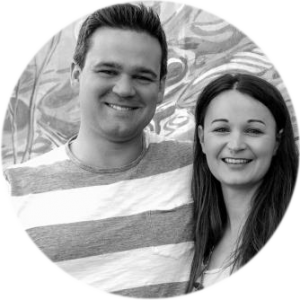 Jamie is originally a geologist and Ruth an economist. We have, however, both worked in various corporate fields over our careers. Dod Mill continues a family tradition for Ruth as her parents have spent their lives in farming and hospitality. Perfect for a couple, the Old Mill is a modern, cosy and eclectic conversion of a 1700s rural water mill. 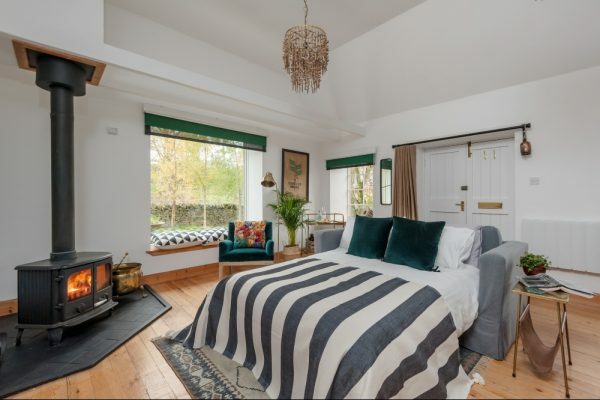 This romantic bolthole is spacious and inviting – it’s somewhere you can slow down and retreat from busy lives. 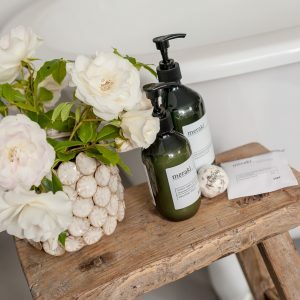 Enjoy a deep bath or rainforest shower, Meraki spa products, the warmth from the woodburning stove, good coffee, cook, bake, read, or simply relax in the space around you. 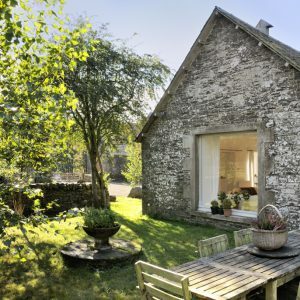 The Bothy is Dod Mill’s bijoux barn conversion. It’s somewhere you can really chill out as a two- some, family or small group (up to four guests). 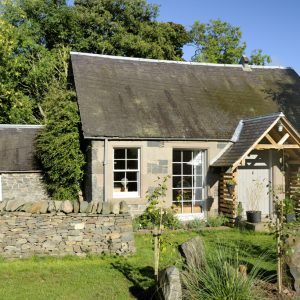 Go for walks around Dod Mill (ducks, ponds, rivers, sheep and woodland), make easy journeys to Edinburgh or beautiful Border towns and sites, and return to your own warm woodburning stove in The Bothy.